The lives of three middle-aged men are interrupted by the arrival of a circus performer and his beautiful young assistant, during one lazy summer. 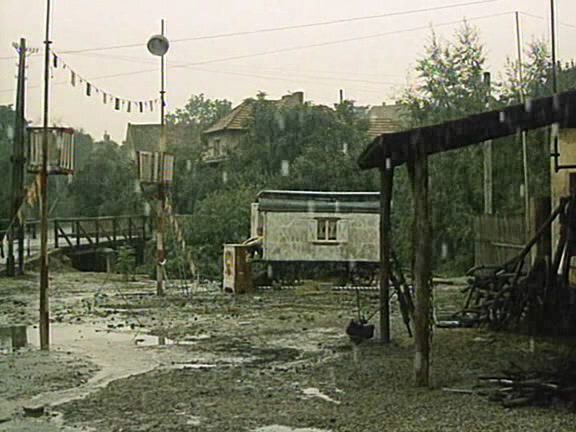 Capricious Summer is a film by Jirí Menzel, based on a novel by Czech author Vladislav Vancura. 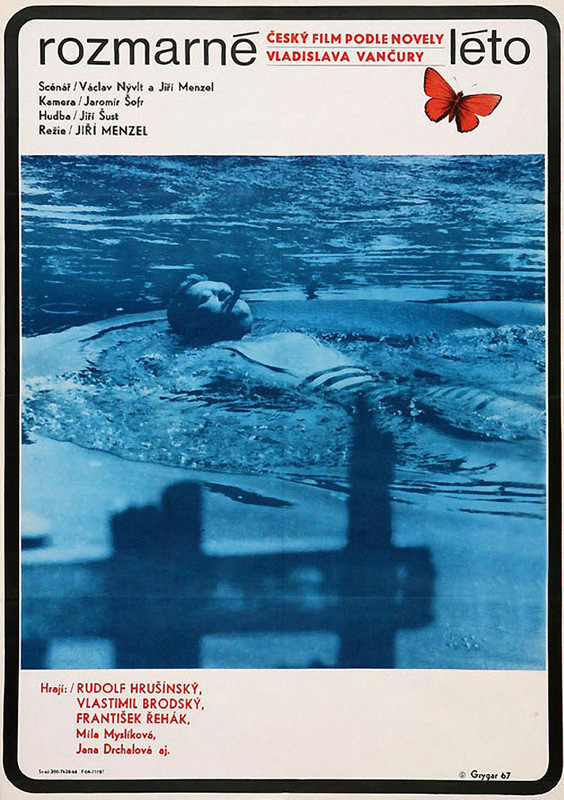 The follow-up to his Academy Award winning Closely Watched Trains, it was originally slated to premiere at the cancelled 1968 Cannes Film Festival, but screened instead at the 1968 Karlovy Vary International Film Festival where it won the Crystal Globe for Best Film. 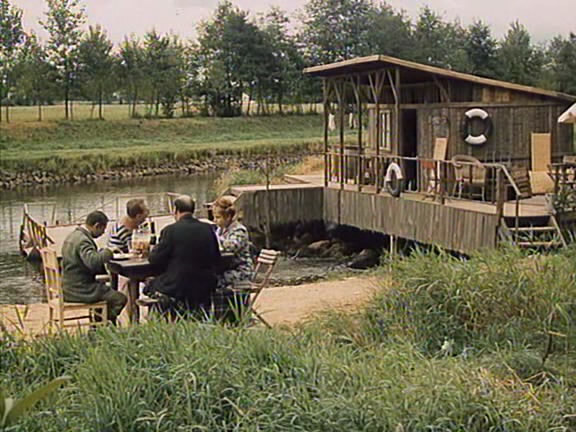 Set along a derelict riverside spa, where three middle-aged friends: the portly owner Antonín (Rudolf Hrušínský), a priest (František Rehák), and a retired Major (Vlastimil Brodský), idle away the summer. The weather is fickle and the customers are few and far between, so much of their time is spent drinking wine and philosophizing about anything and everything. 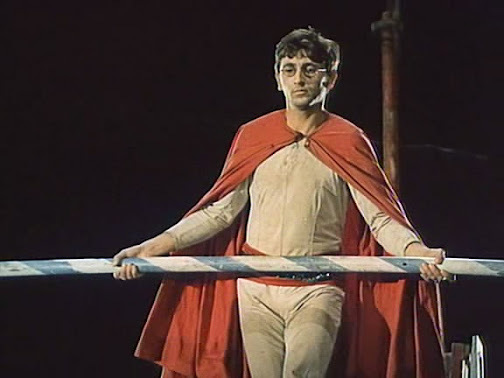 That is, until a wandering magician (played by the director) and his lovely assistant Anna (Jana Preissová), arrive in town, briefly interrupting and injecting excitement into their lives. It's a light free-flowing poetic look at life. Short, bittersweet, and mainly dreary, with a few bouts of sunshine in between the pouring rain. But with much of the dry humor and whimsical eroticism that made Closely Watched Trains such a joy to behold. Told from the point of view of three men whose best days are behind them. There isn't much of story, the film casually drifts along, lazily capturing a laid back summer where, inspired by the young Anna, each of them get a chance to relive their youth for a fleeting moment. The dialog is also highly lyrical—sadly I don't understand Czech other than the few common words I've picked up over the past few months—because it has a beautifully archaic, literary, almost Shakespearean feel, and I'm sure the awkward translation does not do it justice. Still, it's a very funny and visually clever film, with enjoyable performances all around. Particularly the charismatic Hrušínský, who I've only seen in one other film, but has an effortless natural screen presence that very few actors possess; and the tightrope walking Menzel, who, with his round rimmed glasses, comes across a little bit like a Czech Woody Allen, but much much cooler. Of course this won't be a film for everyone. Even with its short running time, the lack of plot, the deadpan comedy, and the constant need to read between the lines, will make this tough going for many. However, if you liked Trains then you will almost certainly enjoy this one too. Even though I still think I'll like trains, I'll wait til I watch it before delving into this one. Yeah, I have a problem finding the motivation to write about poor/average movies. I do post them sometimes, but as you've noticed not very often. I am however considering doing a monthly roundup post of those films that I didn't care for. Yeah I would call that one essential, and this one more of a curiosity. 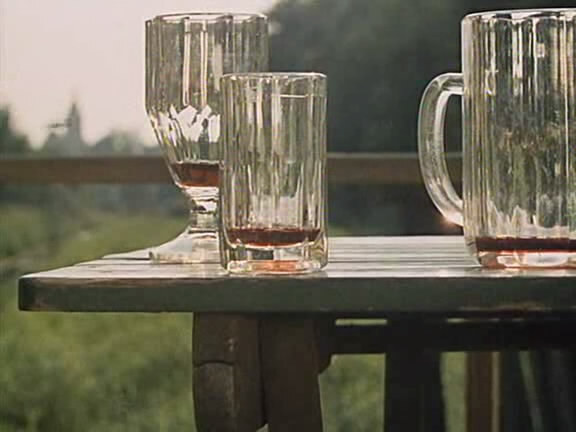 I saw The Temptation of St. Tony awhile ago, I think that's the only Estonian film I've seen. Can you recommend any to me? Autumn Ball (by the same guy) is well talked about and The Class (2007) is probably one of the best ones I've seen. Although I Was Here (2008) was rather good. I tend to stay away from Estonian movies.. because mostly, the movies look like The Idiot (2011) a movie that I didn't like at all but some love it to pieces. It is with most Estonian movies, you either love it or you hate it. Thank you! Autumn Ball sounds like something I would like, but I will also keep the other titles in mind.